To narrow your search, use the drop-down field above/right to select the desired category/condition. "Our Best Topical Pain Relief Formula"
Fast acting, deep penetrating pain relief from soft tissue injuries, muscle strains, sprained ligaments, neurological conditions, arthritic bone and joint conditions, tendonitis, neuritis, bursitis, neuropathy, neuromas, painter fasciitis. Recommendations: Take three capsules daily, or as needed. May take as one capsule three times daily. What's the secret? Combining the best of the best. Curamin contains a clinically proven curcumin called BCM-95® that is significantly better absorbed than plain curcumin products. Curamin WINS—2015 Supplements Award fromDelicious Living Magazine. 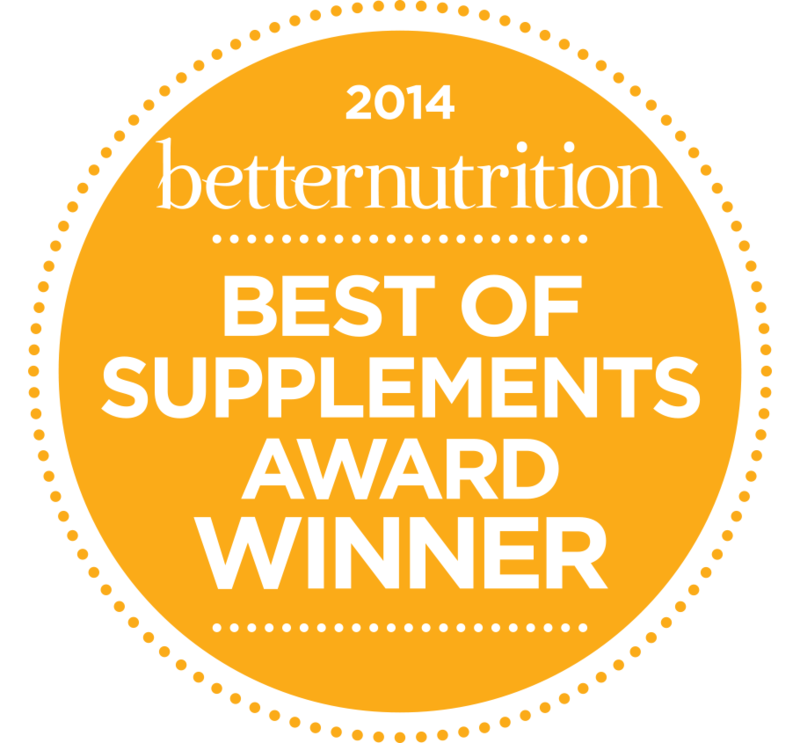 Curamin WINS—2014 Best of Supplements Award from Better Nutrition Magazine. Lab tested for purity and safety. BosPure® and BCM-95® are registered trademarks of Dolcas-Biotech, LLC. ††All EuroPharma products are actually free of soy. We list “contains soy” if a formula contains phospholipids, nattokinase and vitamin K2 which are extracted from soy. The chance of these healthy ingredients causing a risk of allergies is extremely low or non-existent. They contain a possible soy content in parts per million. However, for the safety and comfort of our customers, we provide soy information. This brings the total awards for Curamin to 26! Don't let occasional pain slow you down. *† Curamin Extra Strength is an award-winning pain relief formula for one simple reason - it works! *† It has been recognized by the natural products industry and consumers alike as an amazing pain relief product. *† Winning 26 national awards, Curamin has been voted #1 year after year. "Our Best Value for a Glucosamine Joint Product." Zand Glucosamine With Chondroitin and MSM Liquid 16 Oz. "Great for Those Not Wanting to Take A Lot of Tablets and/or Wanting Something More Absorbable"
GSX® is a registered trademark of Bluebonnet Nutrition Corporation. PureFlex® is a registered trademark of Technical Sourcing International. "Unique, synergistic formula including Sea Cucumber (an especially expensive ingredient) that provides joint pain relief when other formulas don't." Jarrow FORMULAS® Hyaluronic Acid is a low-molecular weight preparation derived from biological fermentation. It is clinically documented to be bioavailable and to improve hydration of the skin. Ibuactin All-Natural Pain Relief. Safe, gentle alternative to over-the-counter pain relievers. Robust formula of white willow bark, turmeric, bromelian, and more. "Most Popular, Economical Herbal Pain Relief"
Maltodextrin, vegetable cellulose capsule, food starch, magnesium stearate and silica. Premier Research Inflamma-ND™ is a live-source, probiotic-derived concentrate that encourages healthy immune response and also promotes healthy inflammatory response. Our premier-quality formula is micro-digested into extremely small bioavailable particles using our proprietary fermentation process via unique multi-strain, probiotic colonies. This allows rapid cellular delivery and 4-polarity dynamics, unlike any other product. Many people say they can feel the effect of this product the very first time they take it. This formula is preserved with certified organic alcohol with no detectable pesticide and heavy metal residues (via lab testing). "Great for Inflammation, Joint Pain, Injury"
A broad spectrum proteolytic enzyme formulation that supports the numerous protein metabolism pathways. Proteolytic enzymes are capable of exerting influence over a variety of physiological and biochemical processes. Benefits of Intenzyme Forte include its effect on muscle soreness and discomfort due to overexertion, the support of hormone processing, as well as providing support for healthy digestive, immune and circulatory function. JarroSil® is a synergistic formulation of highly bioavailable silicon. A patent pending Activated Silicon® formula, JarroSil contains stabilized molecular clusters of silicic acid, which provide a biologically active form of silicon upon dissolution into liquids. JarroSil is manufactured in the USA using the latest technology for enhanced bioavailability, stability and improved taste. Stabilized silicic acid is converted to highly bioavailable ortho- and disilicic acids upon dissolution in liquids and in the stomach. JarroSil is an essential partner of calcium for bones and antioxidants for supple and healthy arteries. A unique joint formula with the typical glucosamine, chondroitin, and MSM combination but with a special anti-inflammatory and joint comfort formula including hops, tart cherry, turmeric, bromelian, and 2000 mg. of vitamin D.
"#1 Recommended Formula for Inflammation"
Bluebonnet’s MSM 1000 mg Vcaps provides pure patented methylsulfonylmethane (OptiMSM®), a superior, distilled form of active sulphur. Available in easy-to-swallow vegetable capsules for maximum assimilation and absorption. OptiMSM® is a registered trademark of Cardinal Nutrition, Inc.
Bluebonnet’s MSM Powder provides pure patented methylsulfonylmethane (OptiMSM®), a superior, distilled form of active sulphur. Available in easy-to-swallow vegetable capsules for maximum assimilation and absorption. Bluebonnet’s Super Bromelain 500 mg Vcaps provide 2400 GDU/g of pure bromelain from fresh pineapples. Available in easy-to-swallow vegetable capsules for maximum assimilation and absorption. Dairy-Zymes® is a registered trademark of the Bluebonnet Nutrition Corporation. "The joint formula for those with a shellfish allergy." White oak bark is rich in tannins, which give it bitter and astringent qualities. It may have an astringent effect on tissues. White oak stem inner bark.